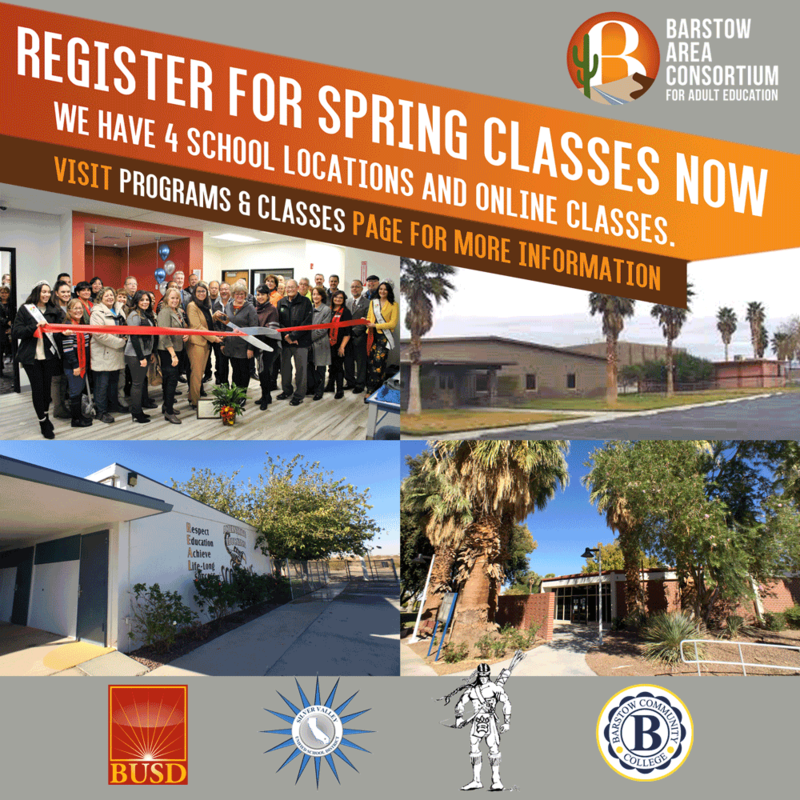 The Barstow Area Consortium for Adult Education (BACAE) is comprised of three districts: Barstow Unified School District, Silver Valley Unified School District, Baker Unified School District and the local community college, Barstow Community College. Each consortia member has a shared vision to support adult students in achieving academic success in pursuit of personal gratification, better employment, promotion potential, and increase post-secondary opportunities. Find A School Near You And Enroll Today!